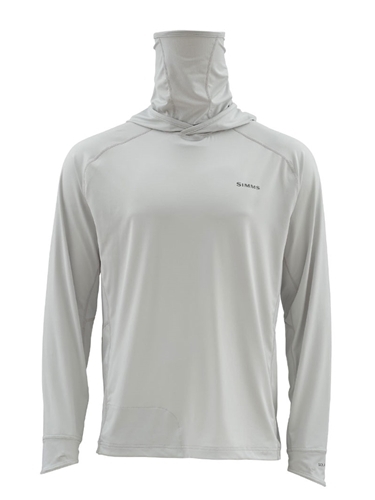 The Simms Solarflex Armor Shirt includes UPF50 sun-shielding performance via COR3 fabric tech that acclimates to hot, high sun conditions via masterstrokes in moisture wicking and ambitious antimicrobial comfort. On the water mesh ventilating inner side and arm panels release body heat while a full coverage face gaiter shields your face from harmful rays. If you're not feeling like wearing the face gaiter it can be adjusted to drape down the back. Another perk of this Sun Armor shirt is that when it gets wewt it will keep you cool with Coolcore fabric technology. The cherry on top of this delicious slice of hot weather goodenss is there is a sunglass chamois at the bottom hem.